Developing a strong posterior chain is a vital component to having a strong healthy body. Far too often, trainees over emphasize training their ‘mirror muscles’ such as the chest, the abs, and the quads. This can lead to muscle imbalances, pain, and injury. Fortunately, there are many compound exercises that can train all of the posterior chain muscles (glutes, hamstrings and low back) at once. The back raise is one of them. 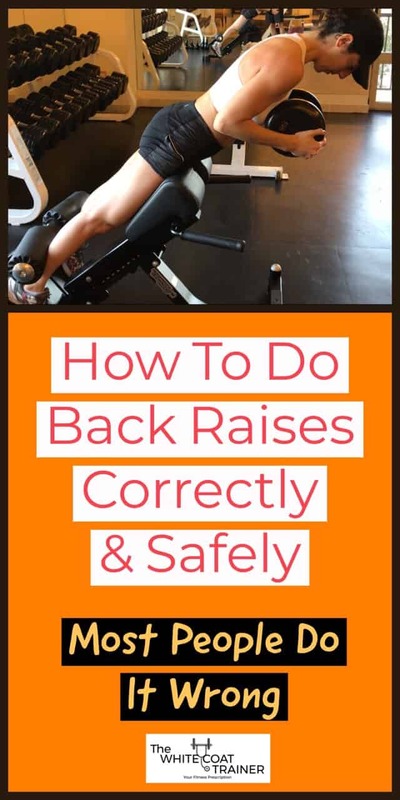 Most people think back raises and back extensions are the same exercise. They are different. Back Raises are performed on a 45 degree back raise machine. They train the muscles of the posterior chain which includes the low back and the posterior legs. 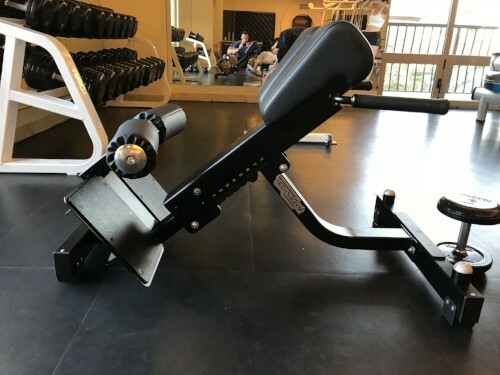 Back Extensions are an exercise that is performed on a preacher curl machine and it is meant to train the upper back or improve thoracic extension. Smitty Diesel made a good article on this. Glute ham raises require a GHD machine. They train your posterior chain through flexion of the hamstring muscles. This exercise does not train the low back muscles as much. Please do not call any of these exercises hyperextensions. We do not want to nor should we ever hyperextend anything on our bodies. This exercise can easily be scaled with added weight. Simply hold a dumbbell across your chest. Are Back Raises Bad For You? No, back raises are not bad for you. It is a totally natural movement pattern that trains the muscles of the posterior chain. If you perform back hyper-extensions, then you are putting yourself at risk of developing spinal injury. My Back Hurts When I Do Back Raises. What Should I Do? This is likely due to a technical issue. Ensure that you are NOT hyper-extending at the back and stop the exercise once you reach a neutral position. If your back continues to hurt, then try one of the back raise alternatives listed below. Can I Do Back Raises Without The Machine? Unfortunately, it is difficult to recreate this exercise without the machine. However, we do have many close alternatives to this exercise that train the same muscles in a similar fashion. These include the Romanian deadlift and goodmorning which you can check below. How Can I Integrate Back Raises Into My Routine? Check out The Best Workout Template, where we provide a simple exercise routine that teaches you how to use the back raise and a bunch of other exercises effectively. PrevPreviousWhen Is Stretching Necessary, And When Is It A Waste of Time?